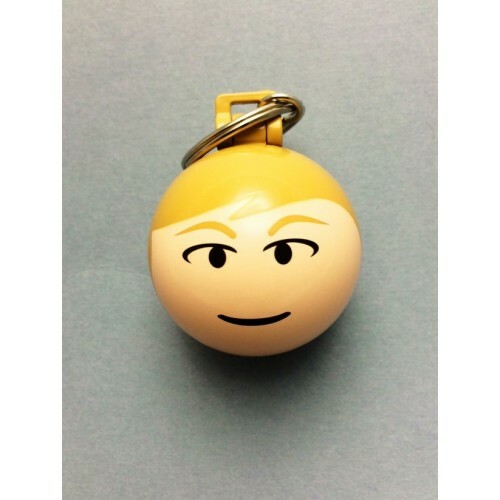 Wholesale order your own USB people with ball head and key ring. One of the most attractive styles on the market. Unique and fun for all clients and staff. 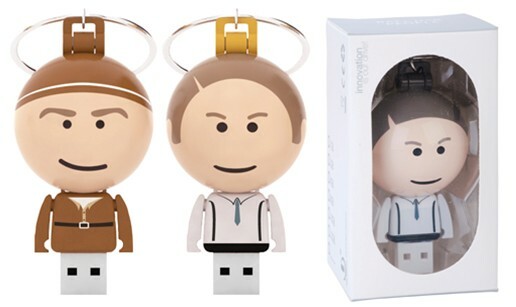 Your business brand will be remembered with cute flashdrives such as these Ball USB People Professional flash drives. 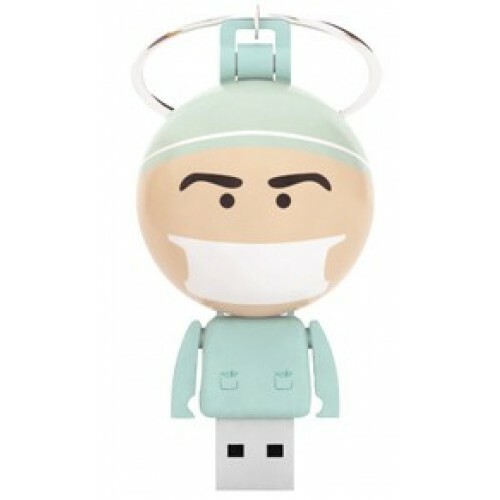 This range of printed merchandise offers choices of professionals including Businessman/ Construction Worker/ Doctor/ Courier/ Hostess/ Nurse/ Santa/ Pilot and Surgeon. 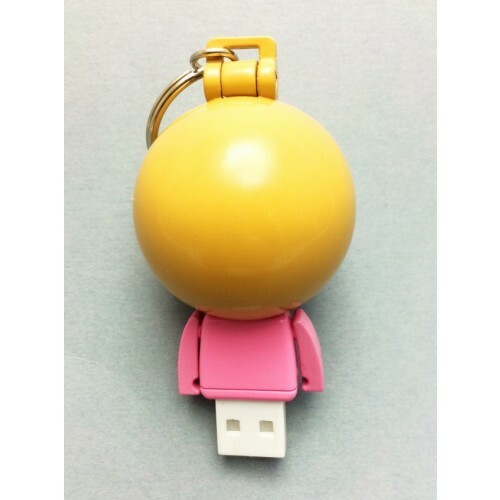 The item is designed with a ball shaped head with key chain and the body containing the flash drives. Item measures 72 x 37 x 37mm. You can have your logo Pad Printed on the 12mm x 4mm branding area. 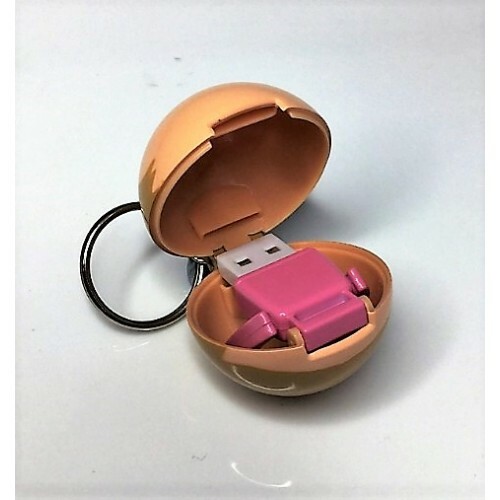 This customised flash drive can come in various storage capacities including 1GB/2GB/4GB and 16GB. Our prices include a one colour one side logo print. Print set up may apply. 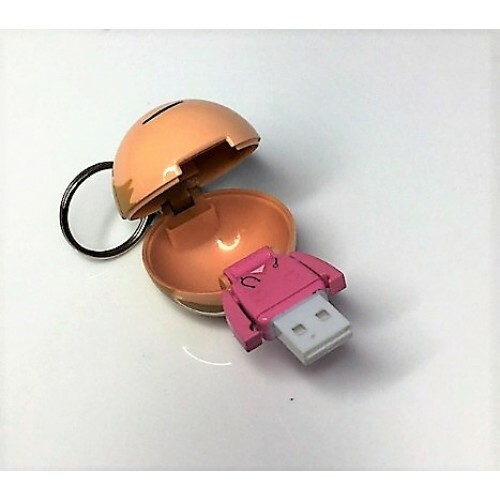 We also offer a service to upload your data to the branded flash drive for up to 150MB at no extra charge. There is 1 year replacement warranty on faulty manufacture as well as 10 year warranty on data retention. Grade A memory is included. Some of the occupations available for you include: Pilot | Doctor | Nurse | Santa | Accountant | Lawyer | Ranger | Office worker | Chef | Flight attendent. If none of these are suitable please let us know. 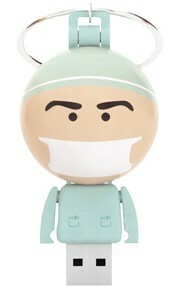 We can create an individual one that is custom painted just for you. Some of the ones we have created include workwear | plumber | dentist labourer amongst others. Branded flash drives take 2 weeks in production. Our prices are ex gst and includes 1 colour printing on 1 side. For urgent jobs, please see our 3day fast USB category. Shown prices are GST exclusive. If you wish, you can inquire about optional accessories such as a magnetic gift box/ tin case/ PVC clear case/ mini lanyard/ long lanyard/ key ring and velvet pouch. 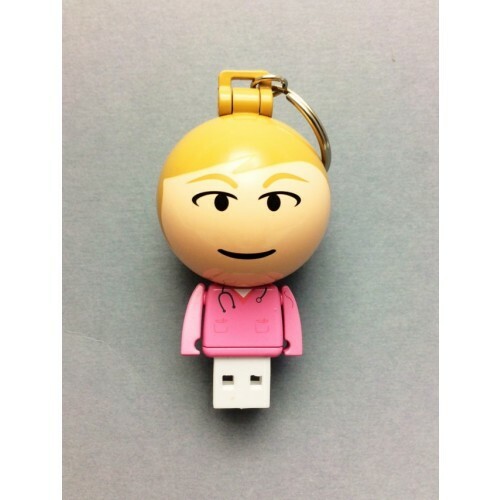 To order your personalised flashdrive which is printed with your logo why don't you call us or send us an enquiry. We will respond with a quote along with recomendations on how best to brand your logo for the best effect. Free freight for standard 2 week turnaround time. We deliver Australia wide. Sydney Melbourne Brisbane Canberra Adelaide Perth and Hobart.